Since our inception, Silverado has successfully completed more than 800 projects. Silverado has performed many large-scale, complex demolition projects including Candlestick Park, the implosion of Warren Hall, the iconic 6th Street Bridge in Los Angeles, San Francisco Oakland Bay Bridge Yerba Buena Island Transition, BART Lake Merritt Administration Building, Carquinez Bridge Approach Ramps, San Francisco International Airport's Boarding Area "A", demolition of the 240' tall Bank of America Clock Tower Building, and multiple projects for the Port of Oakland, these projects showcase the caliber and range of work that we execute. Every conceivable type of building demolition, bridge removal, implosion or site decommissioning project is within our area of expertise. This experience coupled with Silverado's commitment to service ensures that our contracts are completed to the highest level of professionalism, safely, on time, and within budget. Silverado will endeavor to become your demolition contractor of choice through our dedication to providing responsive competitive pricing, expert supervision, and a safe and professional union crew. From preliminary budgets through punch-list completion, Silverado strives to provide cost effective removal methods and a skilled workforce to assist your project team in completing their job successfully. Demolition Contracting: Our mainstay, demolition contracting, includes interior demolition, selective structural demolition for seismic retrofits, selective demolition for building renovations, bridge removals and complete building demolition/facility decommissioning projects. In addition to demolition services we perform excavation, dowel drilling/setting and concrete surface preparation on building and bridge retrofit projects. Budgeting: We provide preliminary budget estimates for clients to use in determining their demolition costs. Contact us early in your design phase for pricing and value engineering suggestions. Permitting: We coordinate the permit process on projects from application through issuance. We can procure all necessary permits from cities, counties and the Bay Area Air Quality Management District. Engineering/Shoring: As required on specific projects we can provide engineering services via third party structural engineers. We will work with you to provide solutions for your temporary structural shoring needs. 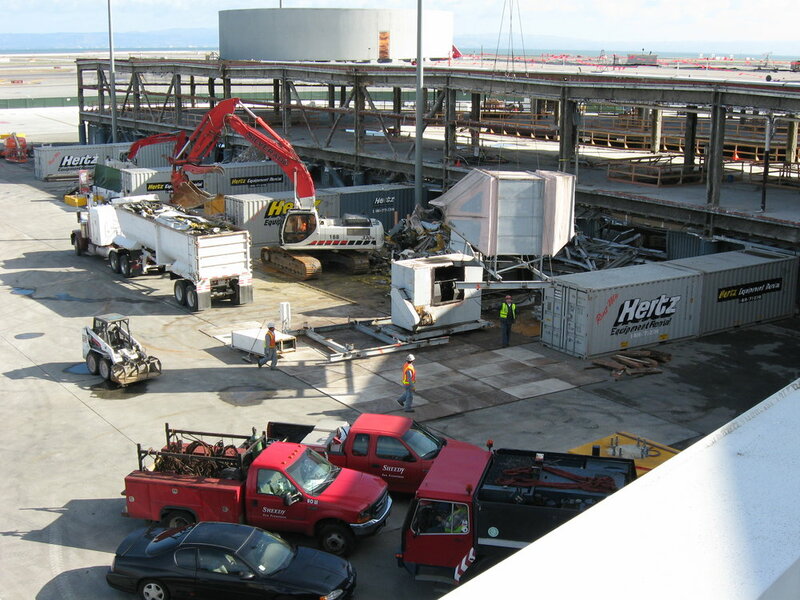 Prime Trade Contracting: Silverado performs work as the prime contractor coordinating its demolition services with various subcontractors such as hazardous materials abatement, historical salvage, protection, electrical, plumbing, underground utility work and grading and paving. Consulting: We provide consulting services to clients for estimating, project management, specification development and demolition practices. Safety is a major concern at any demolition site, but at Silverado it is the foremost concern. We recognize that demolition sites can be dangerous places, but with pre-task planning, teamwork, training, communication and a safety attitude, Silverado job sites are safe. We continually train our employees with project specific safety classes including classes in asbestos, lead, hazardous materials, and fall protection. Time is money, and schedules are critical to every project. Silverado has the staff, equipment and resources necessary to meet or exceed any schedule we commit to. Diligent planning, proper job set up, daily management monitoring, skilled union labor and employees utilizing the newest equipment under the direction of tested supervision all yield a project completed on time exceeding your expectations.